Potato Stuffed Tandoori Roti or Bharwa Aloo Tandoori Roti is an exotic and delicious stuffed Indian flatbread cooked in a Tandoor which is a clay oven of a type used originally in northern India. This Tandoori Roti is a Tandoori version of Aloo Ka Paratha. Tandoori Roti is an Indian style flatbread which is cooked in a Tandoor. Tandoor is a clay oven of a type used originally in northern India. Anything, which is cooked in tandoor is called Tandoori. Tandoori Roti is a part of ‘Tandoori Platter’. What makes Potato Stuffed Tandoori Roti so exotic? 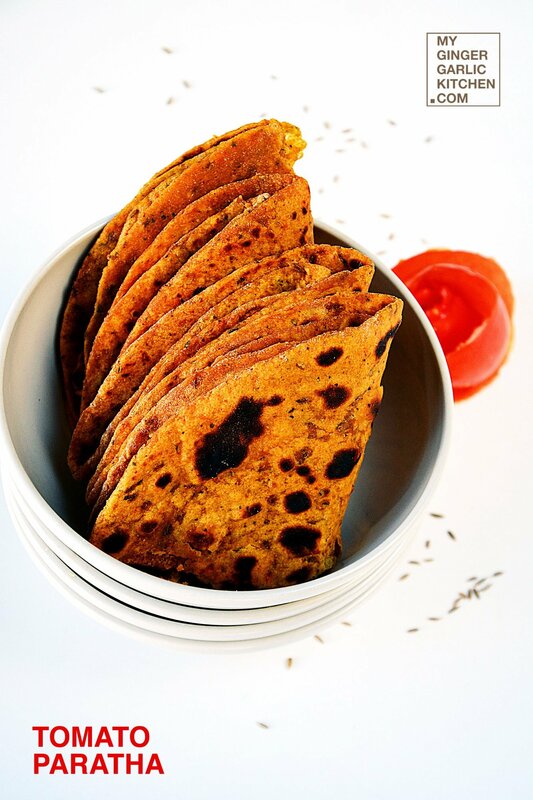 Potato Stuffed Tandoori Roti tastes so flavorful and rustic when cooked in a traditional tandoor. But, the good news is that you can get the same authentic taste, even if it is cooked in electric oven. 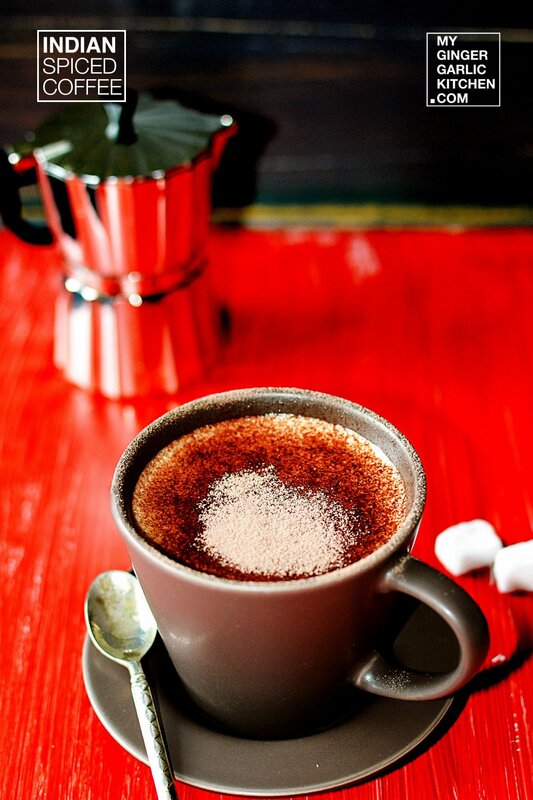 It is such a delight that it certainly classifies as exotic. And when this delightful recipe comes with spicy mashed potato stuffing, this one is to die for. 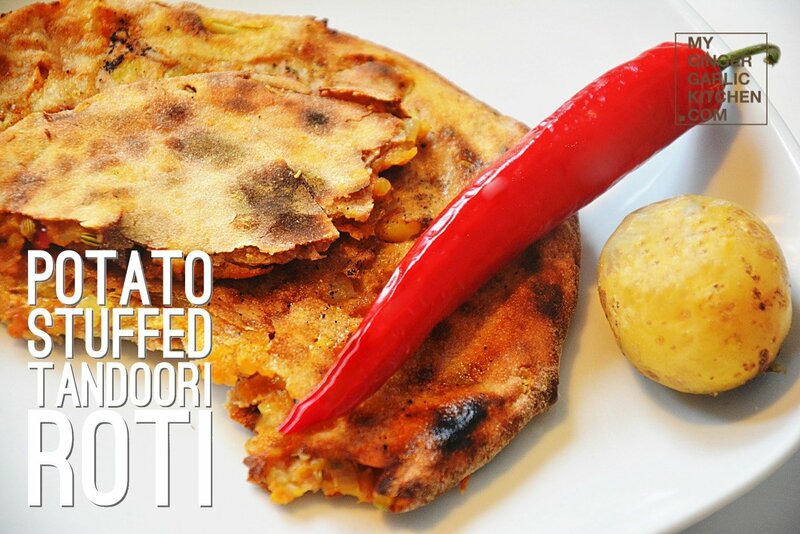 How do you make Potato Stuffed Tandoori Roti - Bharwa Aloo Tandoori Roti? For making this flatbread, first you roll a dough ball. Then you fill the spicy potato stuffing in the centre of the rolled dough. Then you bring together all the sides in the center and seal tightly. 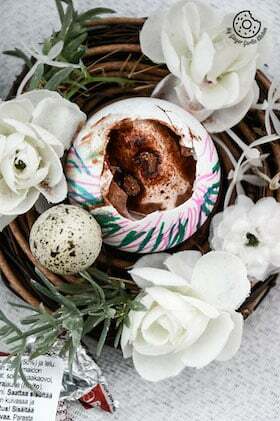 Again roll it into a circle of around 5 inches diameter. Put it in a pre-heated oven at 220 degrees (broil). How do make dough for potato Stuffed Tandoori Roti? The dough for Tandoori roti is made using a blend of whole-wheat flour, yogurt, baking soda and salt. These basic ingredients and the aroma of grilling in tandoor or electric oven makes it really desirable. 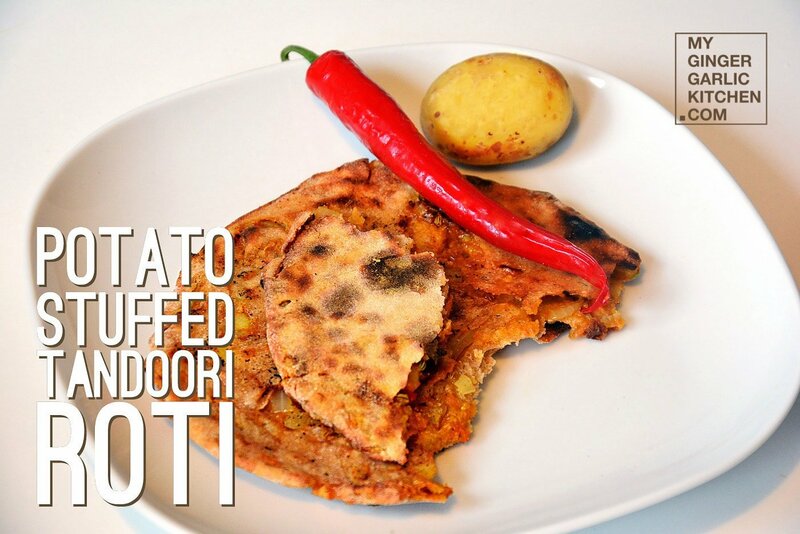 Let us learn how to make Potato Stuffed Tandoori Roti. 1. Take a large mixing bowl, and add potatoes and mash coarsely. 2. Add chopped onions, chopped green chilies, chopped coriander leaves, and all the spices. 3. Mix well all the spices with mashed potatoes. 4. Divide the potato mixture into 6-8 equal sized balls. 1. Add wheat flour, yogurt, oil, baking soda, salt and mix well. Now, add enough warm water to make a soft dough. 2. Place stuffing ball in the center of the dough circle. 6. Pre-heat oven to 200°C at broiler setting. 7. Place rolled roti on a baking tray, and broil at high for 2 minutes. 9. When top side is done, flip and broil again for 2 minutes or until done. 10. Once baked, spread butter over it. 11. 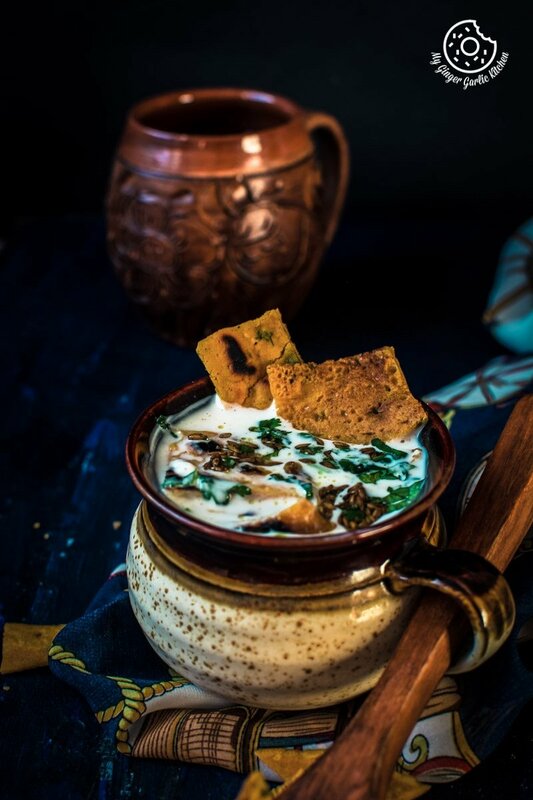 Serve hot with raita, achaar, or chutney.